Les’ inspiration comes from his love of nature and his many travels to the desert southwest where he loses himself in the landscapes, rich in color and form. 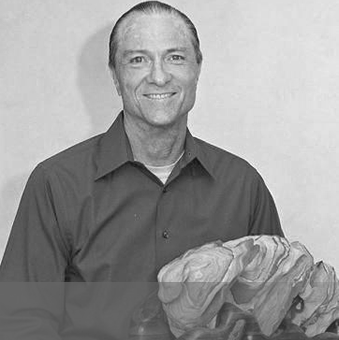 He is driven to express that which comes from his spirit, heart and soul by giving life to his sculptures. It is his hope that his pieces will evoke an emotional response, making them special and meaningful to the individual viewer. 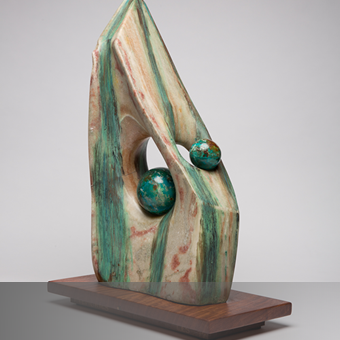 Les combines harmonious materials to form one union, as we would experience in nature. He feels the mind will guide the hand for the craftsmanship, but it is the spirit that determines the form. 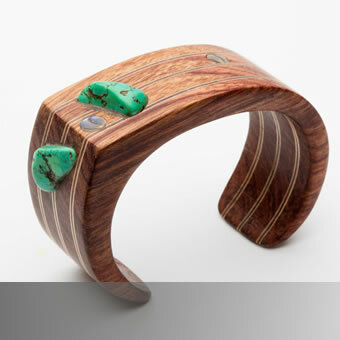 He works with woods, natural stones, resins and semi-precious gems and with them creates distinctive one of kind pieces that are rich in color, texture and movement. 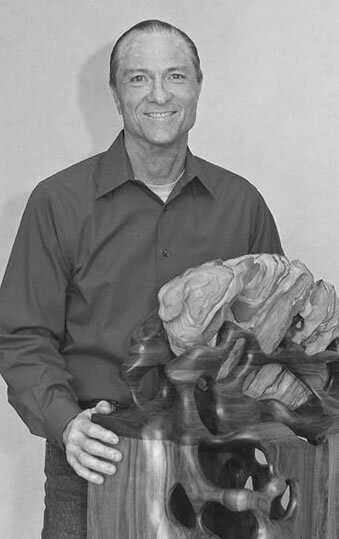 Les Powers received his formal education in Art and Design at the University of Colorado and spent the early part of his career designing and building furniture. He now uses many mediums and methods, sculpting three dimensional expressions that are less functional and more from the spirit. He invites you to come along for the ride and experience his creations.